Bronze color. Fruity, sweet aromas of brach’s caramel and tropical fruit punch candy with a silky, bright, off-dry medium body and a smooth, stimulating, medium-length cherry cola float, toffee, and berry mocha frosting finish. A sweet and somewhat candied dark rum that borders on flavored rum, but is a pleasant sipper nonetheless. 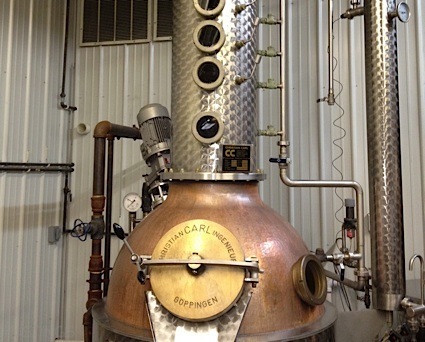 Bottom Line: A sweet and somewhat candied dark rum that borders on flavored rum, but is a pleasant sipper nonetheless. 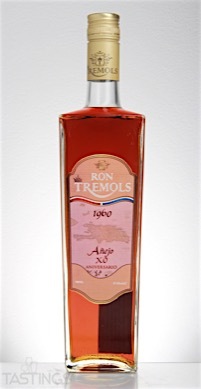 Tremols 1960 Añejo XO Aniversario Rum rating was calculated by tastings.com to be 87 points out of 100 on 4/11/2016. Please note that MSRP may have changed since the date of our review.